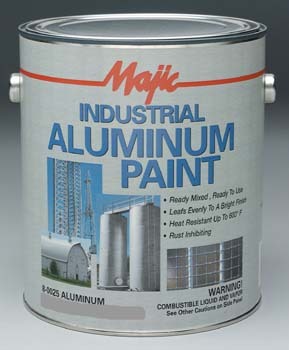 Paint Store :: Shop by Brand :: Majic Paints :: MAJIC 00251 8-0025 INDUSTRIAL ALUMINUM PAINT SIZE:1 GALLON. RUSTOLEUM 77384 7738402 HUNTER GREEN PROFESSIONAL SIZE:1 GALLON. WHIZZ 44214 FLEX POLYESTER 12PK SIZE:6 X 1/2" PACK:10 PCS. DUCKBACK DP-7100-5 AMBER HUE LOG HOME OIL FINISH 250 VOC SIZE:5 GALLONS.